Congratulations to the 28 community members who completed 60 hours of classroom and online training on vegetable and fruit gardening, use of native plants, forestry, ornamentals and landscape gardening, composting, plant problem diagnosis, pest control and integrated pest management, soils and more to become WSU Master Gardener Interns. As Interns, volunteers contribute 50 hours of service to the community, in many gardening and horticulture-related activities. After a year of internship, they become certified WSU Master Gardeners. The weekly Farmers Markets on San Juan and Orcas, and at information booths at Driftwood Nursery on Orcas and Sunset Builders on Lopez. Ask gardening questions and receive answers and resource materials. The Friday Harbor Demonstration Garden where food is grown for the Food Bank. Piloting the new “Grow Your Own” program, which helps families grow their own food. Working at the Friday Harbor and Orcas school gardens, teaching children about native plants, mason bees and pollinators, and bringing science to life through hands-on gardening activities. Establishing and maintaining a heritage apple demonstration orchard on Lopez. Participating in Diagnostic Clinics twice a month, once on Orcas and once on San Juan. Plant concerns with recommendations and insect IDs are provided. Drop your samples off at the WSU Extension office: 221 Weber Way, Suite LL, Friday Harbor or with a Master Gardener at the farmers market at Driftwood nursery (Orcas) or Sunset Builders (Lopez). The annual Master Gardeners Spring Plant Sale. Choose from hundreds of unique varieties of vegetable starts and landscape perennials. Saturday, May 11, 2019 at the Mullis Center, 9am-11am. The San Juan County Fair. The Annual Gardening Workshop, Saturday, October 19th at the Friday Harbor Middle School. And next spring, the Native Plant Workshop and the Native Plant Sale. 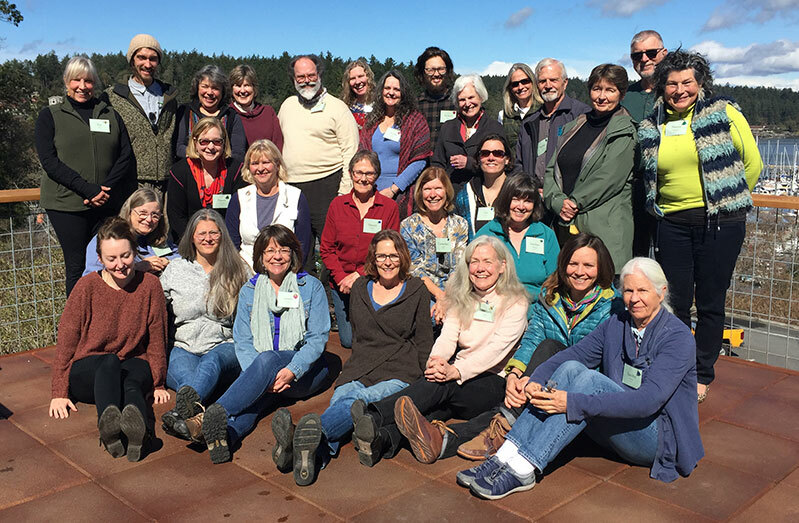 The WSU Master Gardener Program is a nationally recognized program that trains volunteers to serve their communities through horticultural education and outreach. Once volunteers receive training, they provide research-based, educational information to the public on vegetable and fruit gardening, native plants, ornamentals and landscape maintenance, composting, plant problem diagnosis, pest control, and many other concerns. For more information about San Juan County WSU Master Gardeners visit the webite or call 360-378-4414.